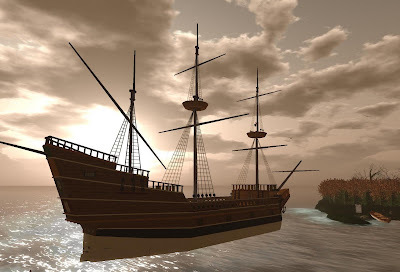 This ship, the Mayflower, is not all that great but take a look at the sky. This was done with the Emerald viewer, using Verdigris is advanced sky editor, my current setting of choice. Simply gorgeous!